DANA POINT — Nordhavn’s new world headquarters was officially dedicated and unveiled to the public the weekend of Oct. 4-6, with a grand opening events that included an Oct. 4 gala party. Friday evening’s grand opening celebration was attended by more than 200 guests, including local Orange County dignitaries. It showcased the transformation of the former Beach House restaurant into a contemporary-design waterfront headquarters for one of the long-range trawler yacht industry’s most popular brands. The Southern California-based Nordhavn Yachts staff transitioned from three separate office buildings scattered throughout Dana Point into the new 10,000-square-foot harborside location at the beginning of this year. The offices, conference rooms and client-designated areas in the structure — which boasts nearly 360-degree water views — are designed to offer the elegance of a four-star hotel. Koi ponds and landscaping welcome guests through the striking front entrance, which leads into a display dedicated to the history of Pacific Asian Enterprises Inc. (P.A.E.) and Dana Point Harbor, as well as the building itself. One of the first things visitors will notice is an electric blue backlit bar and lounge area, to the east of the headquarters’ working areas. The building had formerly been the home of several different restaurants — most notably The Beach House. It was there that PAE vice president Jim Leishman and his brother, naval architect Jeff Leishman, once drew out the concept for the Nordhavn 46 on a cocktail napkin — while sitting at the end of the very bar that now serves as a gathering spot for Nordhavn clients. During the renovation project, there was never a question that the bar would remain a part of Nordhavn’s new headquarters, according to the company. On Oct. 4, guests surrounded the bar and gathered on the adjacent outdoor patio to celebrate how far the Leishman brothers and their partner, P.A.E. president Dan Streech, have come in the past four decades.?? During the celebration, Nordhavn/P.A.E. was honored with three certificates of special recognition: one from Congressman Darrell Issa, another from Orange County Supervisor Pat Bates and one from Dana Point Mayor Pro Tem Lisa Bartlett. P.A.E. 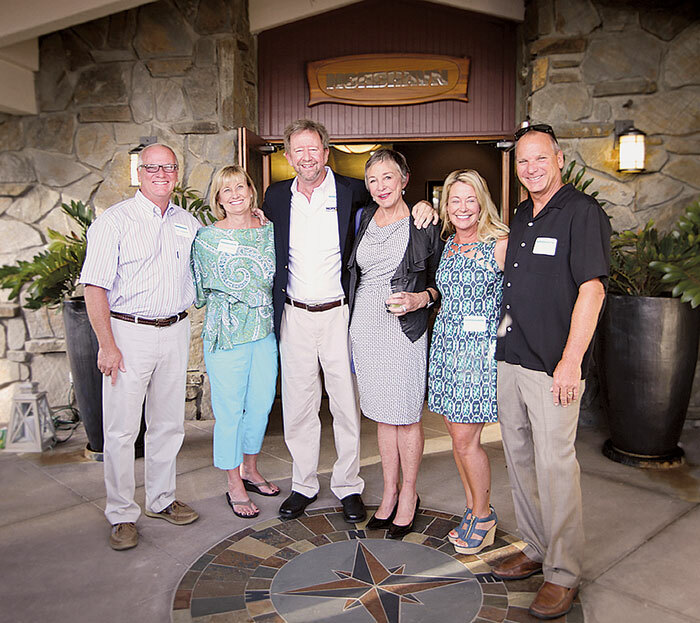 was recognized for the company’s long-standing relationship with the city of Dana Point, Dana Point Harbor and the county of Orange; and for its commitment to the community. Formed in 1978, Nordhavn produces a successful line of long-range cruising yachts. The company recently launched its new flagship, the Nordhavn 120 — which was delivered last month on its own bottom from the factory in China to its new owner in Vancouver, British Columbia. In addition to the new company headquarters in Dana Point, Nordhavn has offices in Rhode Island, Florida, Washington, England, Australia and Turkey. For more information, visit the new Nordhavn/P.A.E. headquarters at 25001 Dana Drive, Dana Point; call (949) 496-4848; or visit nordhavn.com.